With the hunt for a diabolical traitor finally over, Lady Arianna is looking for some peace and quiet in which to resolve lingering tensions with her husband over her daredevil exploits during the final chase. But an unexpected late night visit from The Dragon—Saybrook’s feisty and independent great aunt—puts her in the middle of a very difficult dilemma . 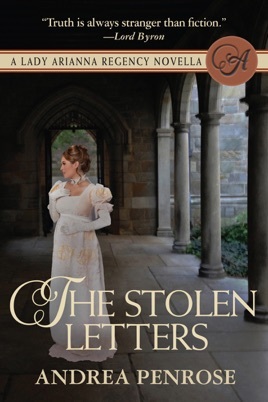 . .
Constantina confesses that some very private personal letters, along with some sensitive diplomatic documents, have been stolen from her French paramour. She’s desperately hoping Arianna can help get them back, but says it must be discreetly and without anyone knowing—including Saybook. Yes or No? The task is made even more daunting when Arianna discovers that the political intrigue may entangle her with some very dangerous old enemies . . .
Ah, but Arianna can’t resist a challenge, and when she learns that a diplomatic party will provide the perfect opportunity to steal the documents back, she and Constantina, along with their friend Sophia Kirtland, quickly devise a plan to prove the ladies can best the gentlemen at their own devious games . . .